In this paranormal mystery series, after losing her mom, Calla Delaney is uprooted to live with her maternal grandmother, a quirky spiritualist, in the real-life upstate New York village entirely populated by people who claim they can speak to the dead. She soon discovers that psychic abilities may just be hereditary…and that her mother’s death wasn’t an accident. Readers can revisit a grown-up Calla and other beloved characters in the new Lily Dale mystery series. She may be able to see the future, but she needs to know what happened to her past. Calla thought that her boyfriend breaking up with her in a text message was the worst thing that could ever happen to her. But just two weeks later, her mother died in a freak accident, and life as she knew it was completely over. With her father heading to California for a new job, they decide that Calla should spend a few weeks with the grandmother she barely knows while he gets them set up on the west coast. To Calla’s shock, her mother’s hometown of Lily Dale is almost entirely populated by spiritualists who can communicate with the dead—and her grandmother is one of them. Suddenly, the fact that her mother never talked about her past takes on more mysterious overtones. The longer she stays in town, the stranger things become, as Calla starts to experience unusual and unsettling events that lead her to wonder whether she has inherited her grandmother’s unique gift. Is it this gift that is making her suspect that her mother’s death was more than an accident, or is it just an overactive imagination? 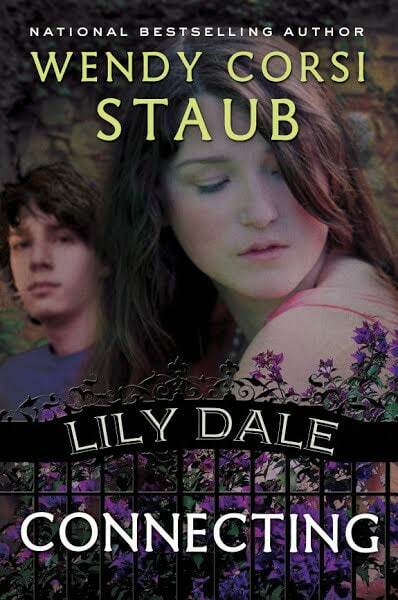 Staying in Lily Dale is the only way to uncover the truth. But will Calla be able to deal with what she learns about her mother’s past and her own future? “The Lily Dale series is an unsettling, yet captivating story. The paranormal mood of this first novel creates an enticing plot that will have readers yearning for the next addition to the series. And I was fascinated when I learned that this tale is not so far fetched; there is, in fact, a town called Lily Dale filled with mediums that say they can actually make contact with spirits. The thin line between reality and fantasy makes this book even more interesting. 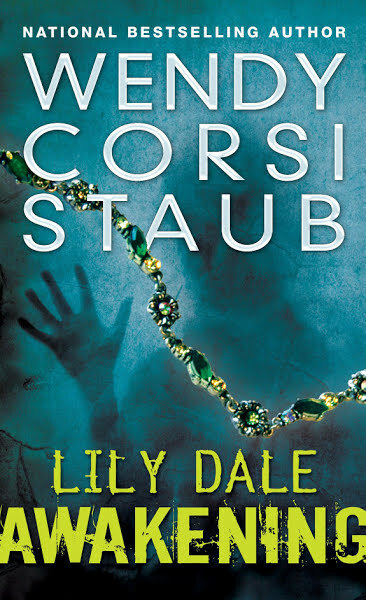 Bestselling Author Wendy Corsi Staub takes readers back to Lily Dale for more mystery, suspense, and romance in the thrilling sequel to Lily Dale: Awakening. 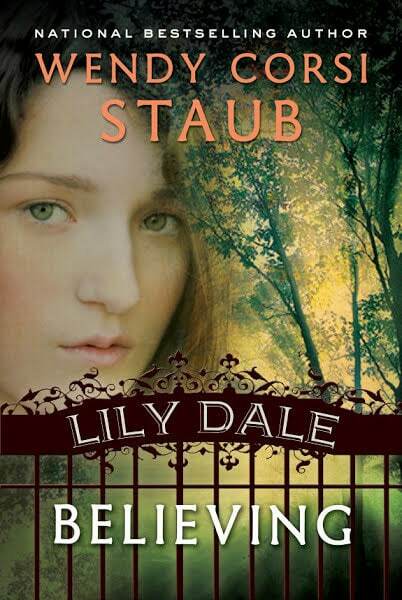 After her tumultuous summer in Lily Dale, Calla has decided to stay, knowing there is still much more to learn about her mother’s untimely death. As school begins at Lily Dale High, Calla finally starts to feel at home in her new town. Despite her excitement over the affections of Blue Slayton and her growing feelings for Jacy Bly, Calla can’t ignore the urgency of her latest visions. Someone is desperately trying to contact her again-this time because the killer, whose victim she helped locate, has kidnapped another girl and may be after Calla next. Unless she learns to trust the warnings she’s receiving from the spirit world, Calla could be in serious danger. Will a shocking secret change Calla’s life forever? Although Lily Dale is a world apart from her old life in sunny Florida, Calla has finally accepted her ability to communicate with the Other Side. But the person Calla is most desperate to connect with is the one spirit whose energy she can’t seem to feel anywhere: her mother. It seems like a lifetime has passed since her mother’s death, and she’s still no closer to finding out the truth. But as she and Jacy grow closer, his visions show Calla in serious danger. Together they must try to make sense of the signs they’ve been receiving from the Spirit world-and quickly. As long as her mother’s killer is still on the loose, Calla will never be safe. 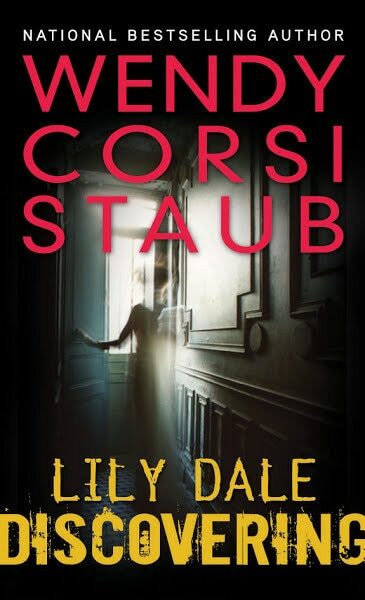 Making her way back to Lily Dale with even more twists and turns, bestselling author Wendy Corsi Staub will have readers on edge in the third book of her thrilling paranormal series. Having grown up near Lily Dale, N.Y., the country’s oldest community of spiritualists, New York Times bestselling author Wendy Corsi Staub always knew the place would make the perfect setting for a tween paranormal. Now in Lily Dale: Discovering, young Calla finally knows the “who” behind her mother’s death but she still doesn’t understand the “why.” Could it involve the half sibling her mother kept secret for decades? Unwilling to share her recent discovery with anyone, including her father who just moved to town, Calla must call on the spirit world once again for help in finding her missing sibling and the final clues behind her mother’s death. Will Calla’s journey bring the closure she seeks?